Describe how we did a particular project in Node. Hopefully helpful to others who want to work with Node. Teaching a language means teaching pronunciation. Users want to learn how to pronounce arbitrary text. We have a command-line text-to-speech (TTS) application. But our legacy PHP app to generate audio is broken. Ryan and Chris assert: Node.js can do this. What's this app really doing? In other words, slinging data. Node can do that really well. It needs to be quick and stable. It needs to serve ~500 requests/minute. Install is easy. Check nodejs.org for instructions. Recommended: Install NVM (Node version manager). 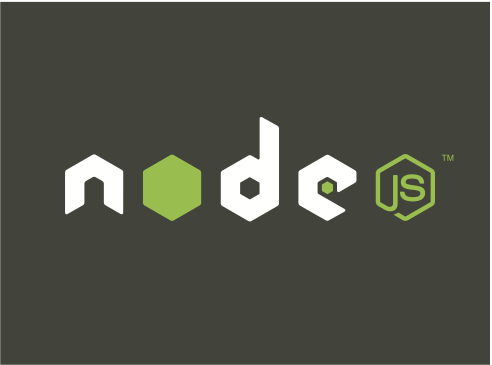 Allows multiple versions of Node to be installed at once. Useful for trying out new versions (which are released often). Node has lots of third-party packages. Available via Node package manager (NPM). require allows importing third-party packages into our code. Modules are just js files. Coffeescript: a must (for me). node-config chooses based on NODE_ENV environment variable. # Set up a route. I started cicero doing filesystem operations with sync methods like fs.openSync. Anything that blocks can halt the entire process. # Create our process object. # Listen for error event. # Accumulate data from stderr. # Listen for exit event. Streams are a powerful way of thinking about IO. Send output of something directly as input to something else (like pipes in Unix). Streams can be readable, writeable, or both. Can pipe readable into writeable. Avoid 'procrastination', i.e., buffering data in memory. Send it as available/ready from the OS. Smooths out CPU and network load. # Get readable stream reference to audio file. # res is our HTTP response object, and it's a writeable stream. # s3Stream is our writeable stream to Amazon S3. # Let the streaming begin! # Listen for error events. # Cleanup on end event. Gain visibility into what your app is doing. "message": "Server started on port 2003." Many ways you could do this. We use Chef and Amazon Web Services (AWS). Find Chef cookbooks online and customize when necessary. Time to deploy? Update version and Chef takes of the rest. Again, many ways to do this. We use a service called Scout. DIY / FIOY (figure it out yourself). Minimalist aesthetic sometimes extends to docs.